Home / Blog / Why Use Flameproof MDF? A feast of (hopefully) flameproof MDF and plywood. Image by Ramann (via Shutterstock). There is a popular perception that anything made of wood is totally inflammable. With the right kind of fireproofing, any wood can be made into a flameproof material. Better still, you can use flameproof MDF or plywood. 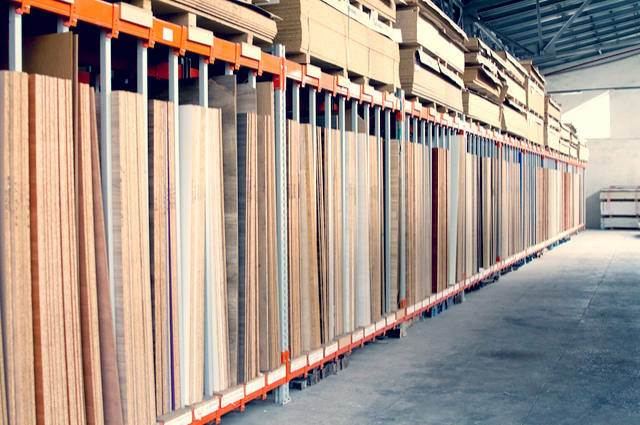 We at Theo’s Timber offer both kinds at our timber merchants. Flame retardant MDF and plywood is often used in public buildings. It is popularly used in schools, hospitals, theatres, cinemas, and libraries. They need to conform to the EN 13501 standard. With European Union classes, they correspond to the two kinds of Euro classes that we offer: B and C. Euroclass ‘B’, offers the highest level of protection of the two. Both ‘B’ and ‘C’ Euroclass flameproof woods ignite with a single burning item in a room. Though the risk has been significantly reduced by 2007’s smoking ban, public buildings have a higher than average risk of fire. Fires could be caused by electrical installations, as well as illicitly smoked cigarettes. Flameproof MDF, to Euroclass ‘B’ standards, are best suited to stairways and communal areas. One example would be a fire escape. From the Royal Exchange to the Contact and HOME theatres, our city has a proud theatrical heritage. If you go to the fly tower of a theatre stage, MDF and plywood of any description forms part of the set. Without exception, they need to be flameproof, due to the heat that is generated from spotlight beams. The same applies to the set design of your favourite television programmes. Apart from lighting rigs, there are possible hazards from electrical equipment – in the studio or on the outside broadcasting unit. An electrical fire with the wrong kind of wood used on your set could spell disaster. If you have any queries about our flameproof MDF or plywood, give us a call and ask for Theo or Steve on 0161 834 6789. Or send us an email via theos@theostimber.co.uk. We shall respond to your queries as quickly as possible.